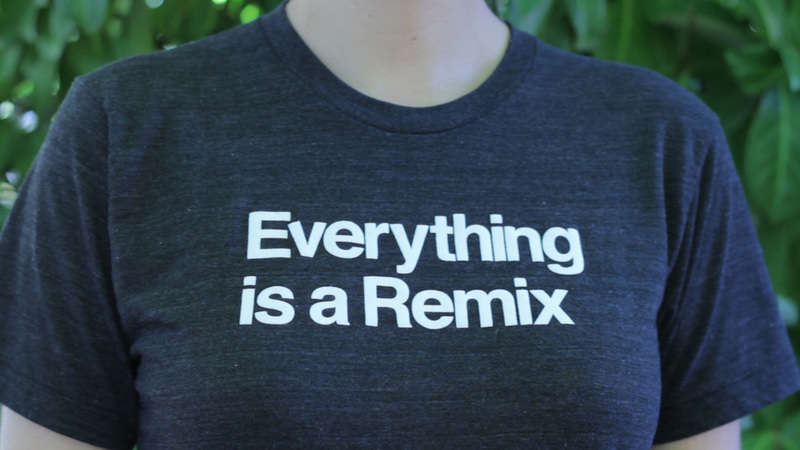 Everything is a Remix t-shirts and posters can now be pre-ordered and will begin shipping in early 2016. We have the original, beloved "Everything is a Remix" t-shirt, as well as a brand new "Copy Transform Combine" design (see below). Our thanks to Dan Gilmore who created the icons back in 2012. The shirts are available in three colors and six sizes. We also have a new, gorgeous "Copy Transform Combine" poster, which is available in three colors as well.